Should Seattle sell off rare open space? A city map of the Myers Parcels which lie just west of Highway 509 above the Duwamish River Valley. All marked areas except the campus on the north side could be sold. In the midst of Seattle’s pell-mell development, a patch of land above the Duwamish River Valley is becoming a battleground in the debate over what the city should do with its dwindling open spaces. Open space advocates say the land, 13 acres of a former gravel quarry at the city’s south edge, is perhaps one of the last chances to develop a significant new park. The city considers the property “excess” and is considering selling it to the highest bidder for development. The issue came to a head on Friday, when City Councilmember Lisa Herbold sent a letter to a ranking Murray administration official, asking the city to put the sale process on hold until the people in her South End district have a chance to weigh in. The possible property sale has been gaining attention for months in West Seattle, and about 700 people had signed an online petition by Sunday night asking Mayor Ed Murray to save the property. The issue, though, has also started to gain traction among neighbor groups and open space advocates throughout the city, some of whom are increasingly angry about what they see as a failure to match natural area protections with the pace of development in the city. 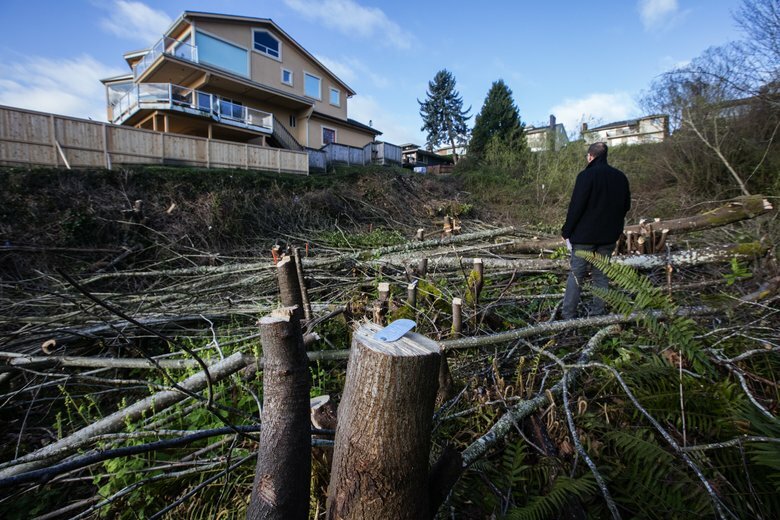 They question whether the city of Seattle is paying close enough attention to its own tree coverage and climate policies as it considers selling dozens of small properties it says it no longer needs. Many of those belong to Seattle City Light, which no longer needs as many substations as it once had. The south end property is part of what the city calls the Myers Parcels, 30-plus acres of a one-time gravel quarry it bought to build a Joint Training Facility for firefighters. The property lies above a wooded hillside along Highway 509, a heavily used route for getting from Downtown Seattle to Sea-Tac Airport. It is in the Hamm Creek drainage area, which feeds into the Duwamish. The city built the fire training facility early in the last decade — violating federal wetlands protections as it did so — and wants to sell off parts that it says are surplus. Mayor Murray has designated some of the proceeds from the expected sale for use in his response to the city-declared homelessness crisis. Herbold’s letter expresses concerns about 13 acres that are working their way through the Department of Finance and Administrative Service’s procedures for selling properties. She expressed hope that the department would work with her in resolving the concerns. She said that many nearby residents — some of whom live in low-income housing and aren’t native speakers of English — have no idea of the possible sale and its implications. Advocates have complained that the area is one of the few open space and walking areas for many people. Herbold suggested that “an enhanced engagement effort” is needed before finance department officials bring any sale recommendation to the council. The letter also raises environmental and public health issues, pointing to both air pollution and the watershed issues that led to a listing last week of the Duwamish-Green River as the fifth most-threatened waterway in America. Herbold asked for not just a regular environmental assessment of the individual effects of any parcel sales for development but larger looks at any effects on the overall environmental health of the area and the health of neighbors. Environmental justice campaigners regularly point to the overall health burdens to low- and moderate-income residents in the south end from the Duwamish Valley’s history of pollution. Reached late Friday, Fred Podesta, the director of Finance and Administrative Services, said he had received the councilmember’s letter but officials had not had time to make any decisions. Podesta noted that the land had been purchased with the intent of selling any portions left over after construction of the training facility. Under normal city processes, other departments look at whether they have a need. The city will be buying open space and park land in future years with some of the money from a voter-approved citywide park district. The area hasn’t rated highly under the city Parks and Recreation Department’s reviews of where the biggest per-capita needs for additional land are. 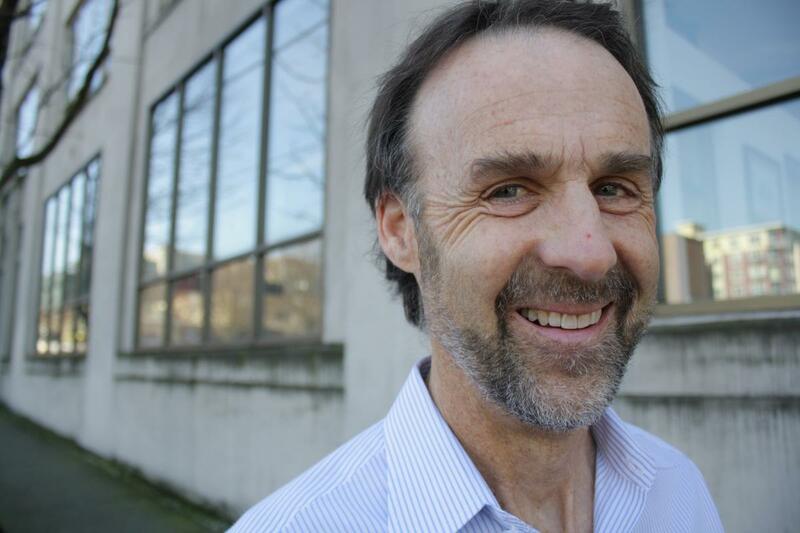 Paul Kundtz, the state executive director for the Trust for Public Land, has praised the department’s prioritization work, but he told Crosscut recently that he was talking with both the department and advocates about the idea that the land merits further consideration. 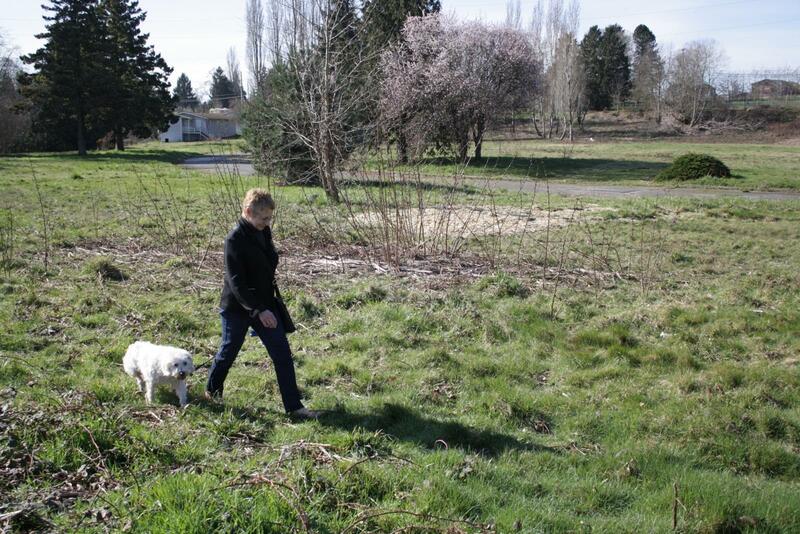 She said she is very optimistic about protecting the land from development once people realize its value as open space and a walking area, and as part of the Hamm Creek watershed flowing into the Duwamish. 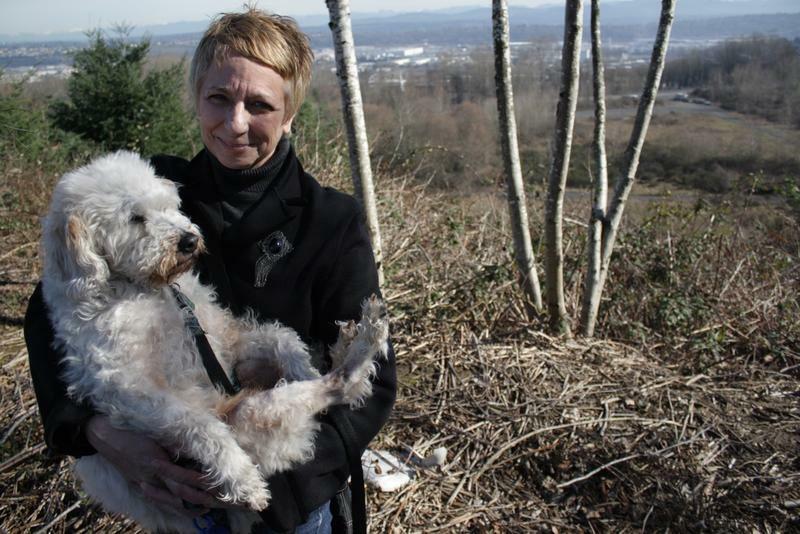 Barbara Dobkin, council of the North Highline Unincorporated Area Council, stands with her dog Mattie on a hill in front of the Seattle city-owned land she’d like to see turned into a park. It’s nearly impossible to find empty land in Seattle. But down at the far south end, there’s 40 acres with nothing on it. And it’s owned by the city of Seattle. Locals would like to keep it wild. They think of it as “Discovery Park South.” But the city has other plans. Barbara Dobkin and I are standing on the city border. It separates unincorporated King County and Seattle. The border is marked by a row of blackberries at the top of a steep slope heading down to the Duwamish river. Her dog treads carefully over the thorns. Dobkin helps run the unincorporated part of King County known as North Highline. She points to the King County side of the border: a high plateau, that will soon be full of housing. 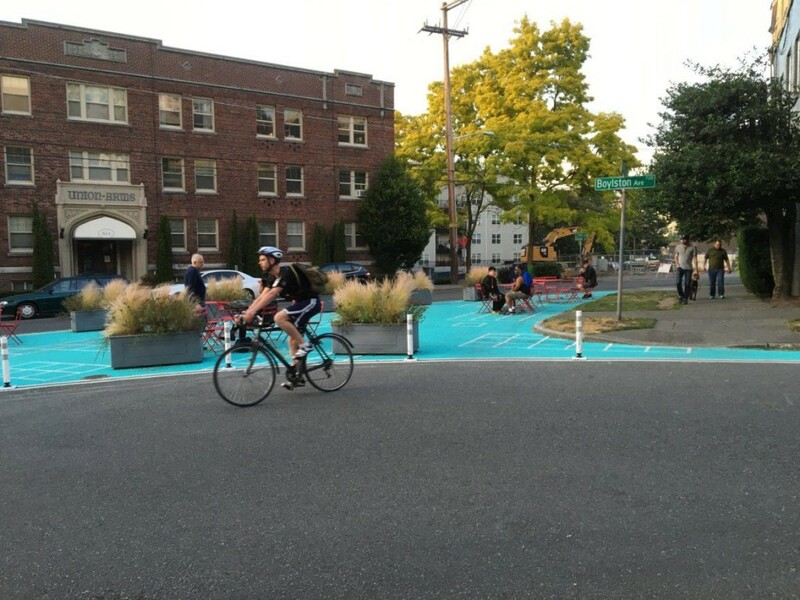 It’s part of a big project being built by King County. On the Seattle side is vacant land, down at the bottom of a steep slope. Dobkin imagines a park here, with trails, like Discovery Park, but smaller and in South Seattle. Once intended as a campus for Nintendo, this rare piece of undeveloped land called the “Myers Way properties” was snatched up by Seattle for a firefighter training facility. It only needed part of the land though. It’s been trying to dump the extra land ever since. When she stands here at the border, Dobkin is thinking about the kids who will live here, who she says will only know ball fields, but not wild spaces. Nevins points to bright orange areas on a map of Seattle. He says other areas need parks more desperately than this area, like the North Rainier Valley, the Bitter Lake area and the University District. Officials are leaning towards another use for Discovery Park South. Hamilton is in charge of selling the city’s extra land. She says the city could probably get $12 million for the flat part of the property. 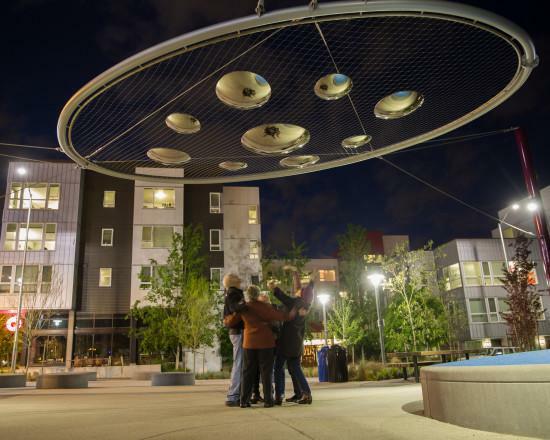 The City Council says it wants $5 million of that to fight homelessness. Hamilton says in the end, the final decision lies with the City Council. And its members have already said they want to sell. 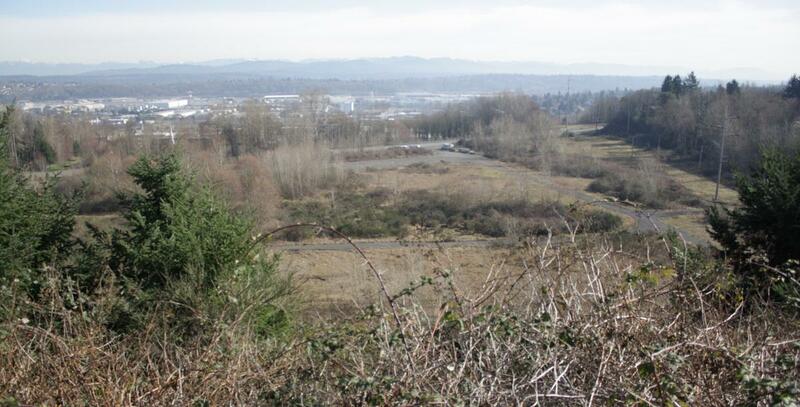 King County plans to extend the Greenbridge housing development onto this grassy plateau. From here, they’ll have great views of the Myers property below, which some want to see become a park, but which might become home for a distribution warehouse. Dobkin says the land is worth saving. Seattle officials say it’s more valuable as cash. The city wants public input on the decision. Peggy Sturdivant (left) standing with Richard Ellison (center) and other demonstrators. 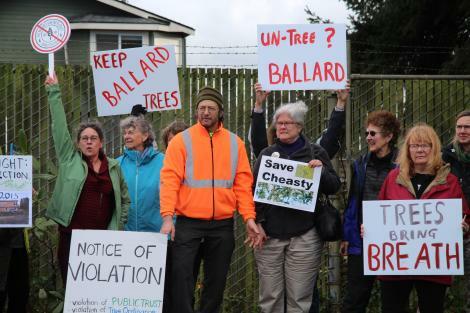 Concerned citizens gathered at the City Light (SCL) owned Loyal Heights Substation (7750 NW 28th St.) on Feb. 12 in an attempt to save three large ornamental cherry trees. However, their scheduled noontime start was too late because SCL crews cut the trees earlier that morning. But some protesters made it to the location anyway just as crews were about to cut. A seven-story apartment building is planned for this Northeast Seattle lot. 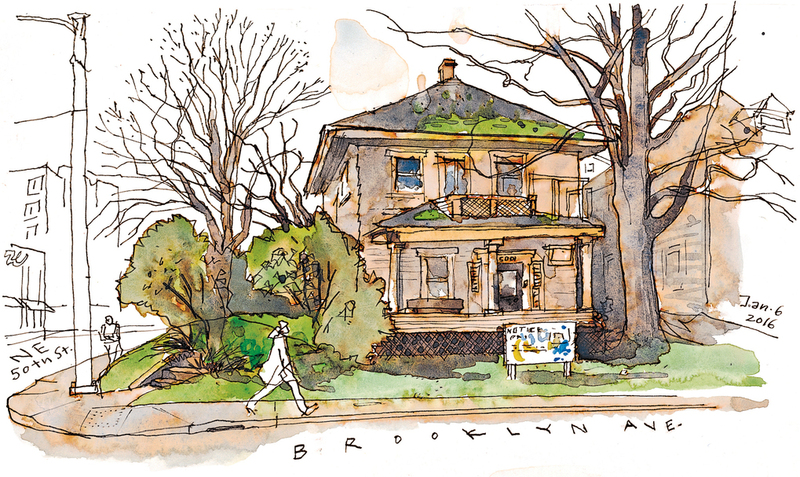 The house is in disrepair, but the property also includes a couple of sizeable trees that stand out at an intersection laced with parking lots. I assume they’ll be cut when the house is torn down. But what if the owner had happened to nominate them for heritage status? City of Seattle arborist Nolan Rundquist told me anyone can nominate a tree with the consent of the property owner, and more than 150 notable trees have received heritage status under a program that started in 1996. We know that, at the most basic level, tree preservation is land preservation. Without a place to grow it doesn’t matter how many trees you intend to plant, how good your tree maintenance is, or how generously your Urban Forest is funded, you will not have sufficient number of trees to do the work we need them to do. Eric Sigliano, reporter for Crosscut, knows this too. Read his article: Saving Seattle’s trees may mean saving their yards.